Periods are promotional hours set up in Back Office. 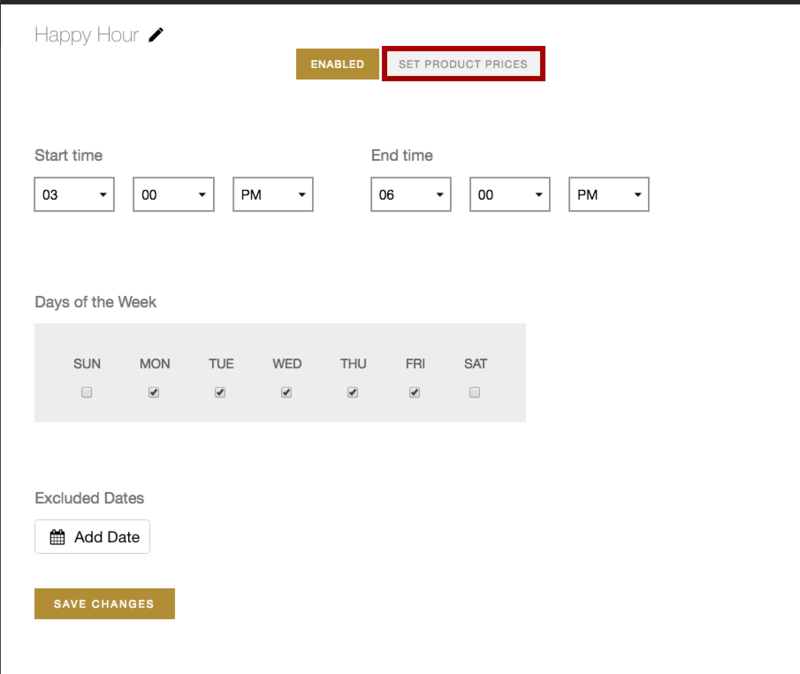 Rezku POS lets you automate temporary changes in pricing through the Periods settings. 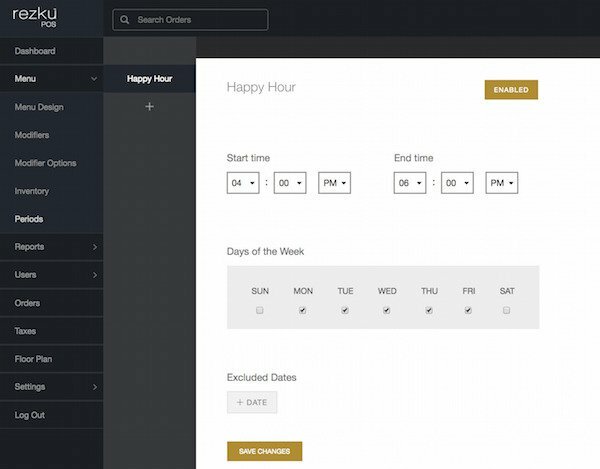 Sales during periods can be viewed in special Periods Reports, to see how effective your promotions are. The most common example of a period is Happy Hour. ● To create a new period, log into Rezku POS Back Office. ● In the left-side navigation column, click on Periods. ● To add a new period click + in the column. The New Period window appears. For this example, we named the period Happy Hour. ● Click Save after naming the period. 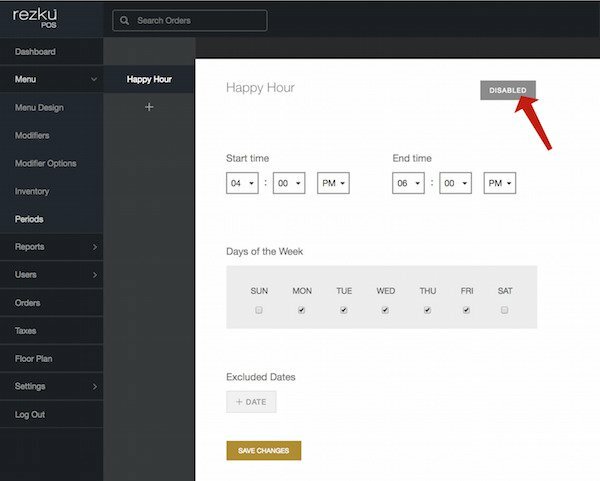 We have the ability to exclude dates from running a period as well. ● Click Save Changes at the bottom when you’re happy with your configuration. If you no longer want the period to automatically run on the selected days, use the Enable / Disable button next to the Period Name. 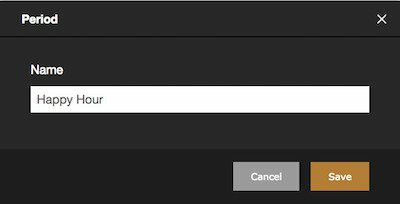 This feature lets you deactivate, yet keep the period for future use. When you’re ready to run the period again, just click the button to enable. This works great for seasonal promotions and holiday pricing. Once the period is configured, you have to associate it with the products you want the period to affect. ● In Periods click on Set Product Prices. ● In the Period Products page, set the price to be used while the period is active. ● Prices are saved automatically. 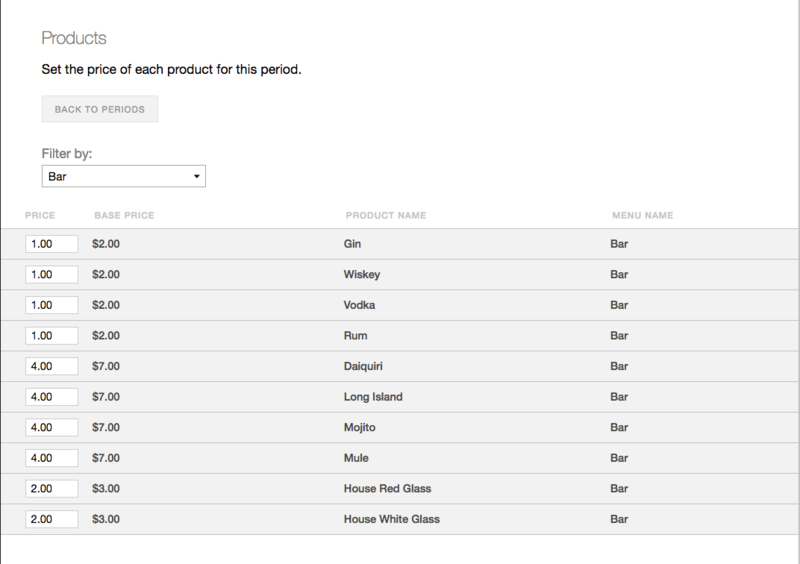 ● You can also filter your products list to only show items from a specific menuper. 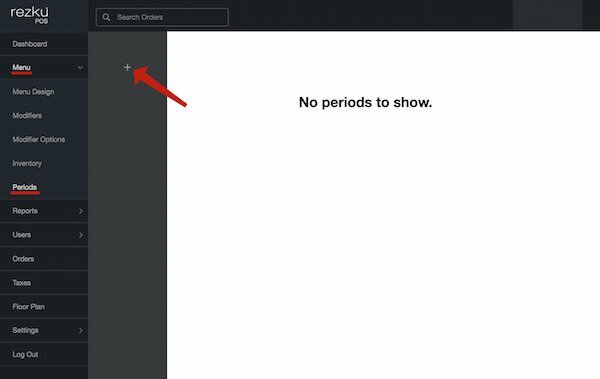 ● To exit the edit Period Products screen click Back to Periods. The period prices will be used automatically during the period and reset to the normal price when the period has ended.